Thanks to Yvonne for the heads up. Deadline broke the news that the Narcos star was tapped as the antagonist. His character is described as a relentless, calculating and intense head of security for a global enterprise who is set against Jackman’s clawed Wolverine/Logan hero. Hugh Jackman’s possible finale as Wolverine adds a zombie expert. Elizabeth Rodriguez — Liza Ortiz on Fear The Walking Dead — is in talks to join the cast of Wolverine 3, Fox confirmed to EW. The potential role would be relatively minor, but critical to the plot. Before appearing in the AMC series, Rodriguez recurred on Orange Is The New Black as Aleida Diaz and in the 2014 film The Drop. Elise Neal has joined the cast of Fox’s “Wolverine 3” starring Hugh Jackman. Stephen Merchant and Boyd Holbrook are also on board. James Mangold is directing. Plot details are being kept under wraps, as are details behind Neal’s character. Eriq Lasalle is set to join the cast of “Wolverine 3” starring Hugh Jackman. Boyd Holbrook and Stephen Merchant are also on board. James Mangold is directing. Plot details are being kept under wraps, as are details behind Lasalle’s role. David James Kelly penned the script. EXCLUSIVE: The Office co-creator Stephen Merchant has joined the cast of 20th Century Fox’s Wolverine 3, the latest in the Hugh Jackman-starring X-Men stand-alone franchise. Jackman has said this will be his last go-round as the character he began playing 17 years ago. No word on Merchant’s role. But Richard E Grant has also closed a deal to join the cast that already includes franchise staple Patrick Stewart and Narcos‘ Boyd Holbrook as the main villain. More names are in the works. 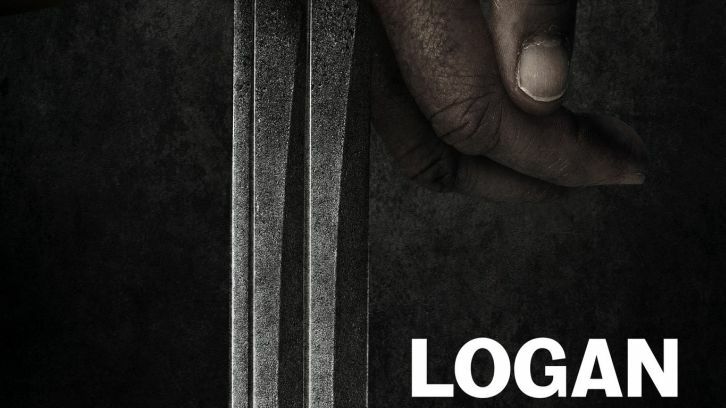 David James Kelly is penning Wolverine 3 from a treatment by director James Mangold, who helmed 2013’s The Wolverine. Lauren Shuler Donner is producing. A March 3, 2017 release date has been staked out. British actor Richard E. Grant is joining Hugh Jackman in Wolverine 3. The movie is heading towards a May start with Patrick Stewart, playing X-Men leader Professor X, and Boyd Holbrook, who is playing Jackman’s nemesis. Plot details are being kept under wraps but it is known that Grant will play a villainous mad scientist type. James Mangold is directing the project that is being produced by Lauren Shuler Donner and Hutch Parker. EXCLUSIVE: From the DEA to superhero nemesis, Boyd Holbrook has steeped to the other side of the law. The Narcos star has signed on as the lead villain opposite Hugh Jackman and Patrick Stewart in Fox’s Wolverine 3, I’ve learned. Holbrook will play a relentless, calculating and intense head of Security for a global enterprise who is set against Jackman’s clawed Wolverine/Logan hero. The CAA repped actor’s deal just was completed on the film, which is gearing up for a production start in May. David James Kelly wrote the latest upcoming movie of the X-Men franchise spinoff with James Mangold directing. After nearly 20-years as the iconic Marvel character, Jackman said last year that the upcoming third standalone Wolverine film will mark his final appearance as Logan. The pic is set to hit theaters on March 3 next year. We know that Hugh Jackman, director James Mangold and writer Michael Green are all working on the next Wolverine movie, and now we can throw another name in the mix as well – Patrick Stewart. Yes, Charles Xavier will appear in the upcoming film and not just as a cameo. Hugh Jackman has confirmed he'll retract his claws for good after he reprises his role as Wolverine in the still untitled third installment of the "X-Men" film series. “This will be my last one," Jackman revealed during an appearance on the "Dr. Oz" show on Thursday. 20th Century Fox is doing some serious forward-thinking as far as their portion of the Marvel Universe is concerned. The studio has just announced that James Mangold’s sequel to The Wolverine will hit on March 3, 2017 with The Fantastic Four 2 coming to theaters on July 14, 2017. They’ve also set a just-announced mystery Marvel project for July 18, 2018. Twentieth Century Fox has begun negotiations with James Mangold to return for another installment of The Wolverine, with Hugh Jackman bringing back his signature character with the razor sharp adamantium hooks. This comes after The Wolverine played very strongly overseas, enough to now sit as the second highest grossing X-Men film of all time. The film has grossed $413 million worldwide, with $132 million domestic and $280 million in international revenue. Here’s where it is right now. Mangold is making a deal to write the treatment, with X-Men franchise matriarch Lauren Shuler Donner producing. The storyline is being kept under tight wraps. I think Mangold did a bang up job on his first superhero film. When I met him at Comic-Con San Diego, he said he tried to veer from the usual superhero formula–if hero doesn’t succeed, world is doomed–and instead make it a character-driven storyline. There were plenty of action pieces, samurai swordplay and reasons for Logan to work up that famous temper, but at its core the film worked because the stakes were subtler and the storytelling somehow more intimate. Mangold is repped by WME and Management 360, Jackman by WME.